Typical winemaking accessories truly make for amazing art. Using reclaimed barrel heads, staves, corks and other parts, premier artisans have come up with some seriously unique treasures. 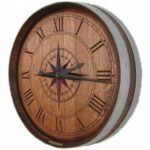 From customized quarter barrel bar signs to interesting wine barrel clocks, plaques and more, there’s a plethora of options ripe for the picking. Not everyone can handle a spot of whiskey. Known for its gentlemanly appeal, this spirit is more than a stiff drink. It inspires a timeless masculine elegance that is perfect for upgrading an existing basement bar, man cave, patio lounge, or other makeshift drinking room. Wine enthusiasts take great pride in their growing collections. But couples who love the hobby know that showcasing their many bottles is the biggest challenge of all. From pinots and chardonnays to cabernets and beyond, how is there ever enough space? Today, there’s nothing more functional and fabulous than a spacious kitchen island. We love when our family and friends gather around for a quick meal, an intimate chat, or to clink glasses and toast the weekend. Since the kitchen is the heart of the home, you should take great stock in your setup and what it says about your design taste. Nowadays, the ever-popular rustic look has taken its hold, inspiring countless wood cabinetry, shelving, and other island designs refurbished from antique materials. Here are some amazing ideas for revamping your kitchen with a rustic kitchen island and seating. Do you pride yourself on green, eco-conscious living? It’s hard to merge our love for all things elegant and indulgent with a desire to conserve energy and resources throughout our daily lives. That’s why repurposed furniture and accessories are making a huge splash across various types of home furnishing markets. 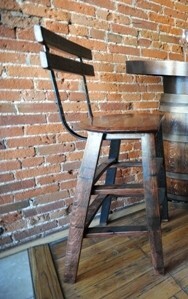 From tables and chairs to wall art and more, wine barrels and staves make amazing materials for your practical wares. Here’s some inspiring ideas for furnishing your bar room, man cave, basement, or formal dining space with chic wine barrel bar stools. What’s a sophisticated look for my home bar? There’s something stunning about the dark, warm, manly décor of an authentic cigar bar. To bring that same timeless elegance to your home, embrace all things wood and leather. 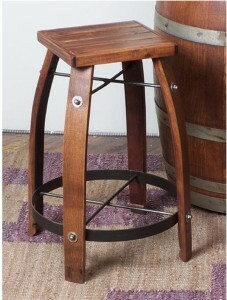 For instance, a small cocktail table looks lovely with a set of chocolate leather wine stave stools. These beautiful pieces are more than recycled—they’re handcrafted with amazing detail, giving your place the feel of an upscale restaurant or lounge. They’re also available in countless finishing options to fit the color scheme of your existing setup. What’s a rustic chair for my kitchen island breakfast bar? If your family or guests like to hang out in the heart of the home, the kitchen island is a fabulous spot to wine and dine them. Many folks like to save space by placing a few casual stools underneath the counter space. 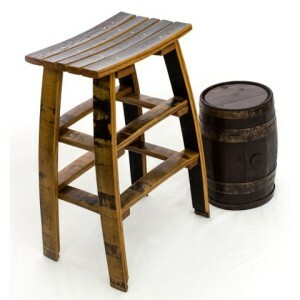 But if you want a more comfortable option, a barrel head stave stool with backrest is a smart solution. With their superior construction and supportive upper half, kids can sit back safely while visitors lounge happily with their glass of wine. How can I bring an Old World charm to my living room? The tradition of winemaking conjures so many delightful images of Italy, France, and other foreign locales. If you’d like that traditional feel in your own living room, kitchen, or family rec room, then bring in a high top table. 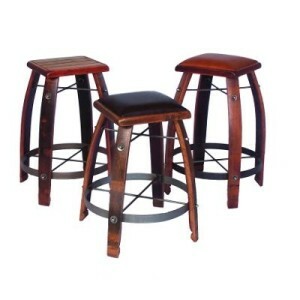 You can then surround the round or square surface with up to four stave stools with wooden tops. The slotted look of wood on each chair’s surface, partnered with many interesting stave elements, makes for an incredible bistro like setup. It’s cool, green, and totally gorgeous! If you’re like most wine, whiskey, and fine spirit lovers out there, then you’re probably searching for a way to set your bar apart. Whether it’s your home wine cellar, man cave, or even an elegant dining room, some thoughtful wine wall art and other interesting décor can truly transform a space. 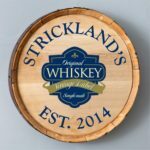 Today, the rustic and reclaimed trends are spreading like wildfire, causing a high demand for distillery branded products. White oak barrels make beautiful, long-lasting accent pieces to complement your existing space. So, when it comes time to decorate your home bar, consider some of the following ideas for achieving a genuinely unique look. 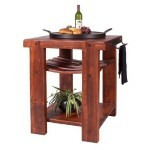 Wine should be served and enjoyed on meticulously crafted wine furnishings. This has pushed designers into crafting elegant home wine rack furniture to wine bar furniture that is perfect for the occasion. Wine enthusiasts aren’t just about collecting the red and white. 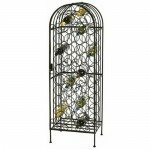 When it comes to decorating your home, there are so many unique pieces that’ll commemorate your love for vino while still infusing a sophisticated feel. Whether you want to transport your guests to Tuscany or give an extra special gift, consider the benefits of a quality ceramic trivet. Love wine? Decorate your home without looking like a bar. Many people enjoy wine and would love to decorate with this in mind. Yet they don’t want their home to end up looking like a bar. Everything from elegant glassware and interesting wall art to gorgeous wine-inspired furniture can be used to decorate your home in a stylish manner. 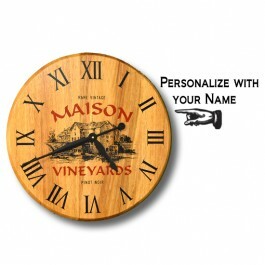 The following are some ideas for decorating your home with great tasting wine in mind. You would never serve your guests wine in a paper cup, so why choose ordinary glasses? The first step in making sure your home decor doesn’t resemble a bar is having beautifully designed wine glasses. With so many styles, sizes, and designs to choose from it shouldn’t be difficult to find glasses that fit your own unique style. You don’t have to stick to clear glass either. There are wine glasses featuring colorful, detailed designs that are truly works of art. There are, however, some more serious aspects of glasses that wine lovers insist are important. A few include the size and shape of the bowl, which can affect the aroma of the wine, and having a stem to hold so your hands are not changing the temperature of the wine. You can make an environmental statement with your car, your diet and your voice. Do you make a statement with your style? What do your decorating choices say about your relationship with the planet? Reducing waste is a core value of environmental responsibility. It is also a valuable tool for the designer. Rather than searching through the newest materials, trends and creations, find new purpose in what is old. Take existing matter and re-imagine it. Nothing has more depth of character than reclaimed wood. Lumber rescued from old barns, fences, boats and more bring history and beauty to a room. 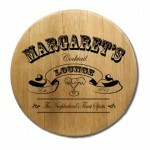 Retired wine barrels add heritage to any kitchen, restaurant, tasting room or den. To a lover of wine, their inclusion brings the decor full circle.